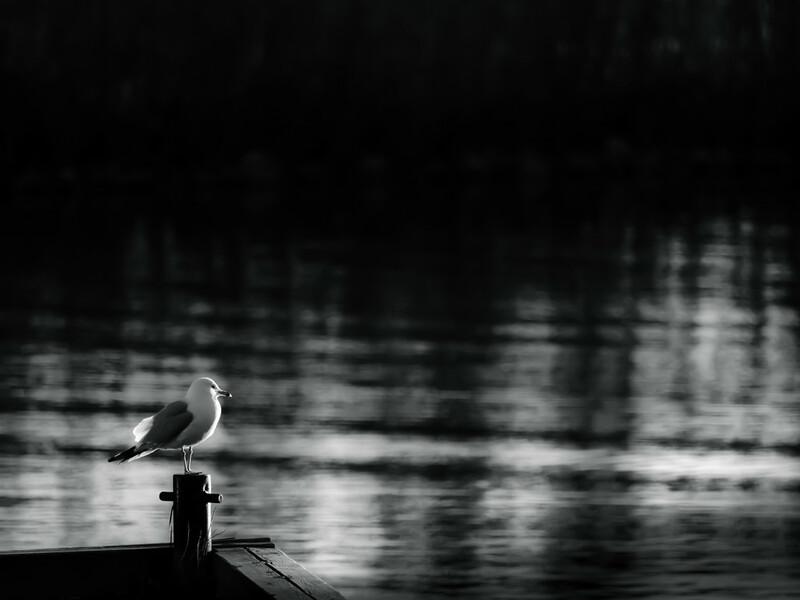 This image is so well composed making the lowly gull quite artistic. love all that negative space!! This is fabulous on black. The gull pops! Nice. the negative space, and slight tilt of the gull's head makes this bird look very thoughtful. A lovely composition. Great light on the gull. Nice composition. This is much better than any HDR shot! Composition, light and mood so lovely. Stunning in fact! With the 45-150mm lens, that you don't much care for? Or maybe I have misunderstood or out of date? Double Fav, whatever! @yrhenwr thx David... I actually love this lens... i think you’re thinking back to when I was using the mega cheap version... I picked up a second hand pro version a year ago and although quite pricey, it was definitely worth it! Great lighting on the gull. Very artistic. I like it a lot. i'd have chased that little bugger away from my shot. :-D but then you're the one taking the photo and you make a gull looking respectable! aces! The way that the black is dripping down into this is sublime and fabulous. Fave. @northy My rule on HDR is if you can tell it's HDR, it's usually "bad HDR". I think there are a lot of HDR shots out there that aren't obviously HDR at all because they haven't been auto-toned to hell and back.